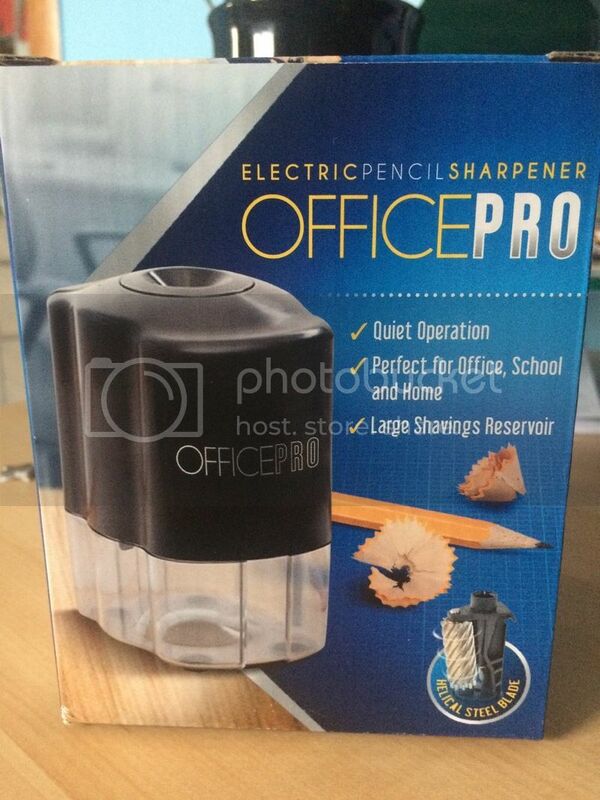 I have the opportunity to try one electric pencil sharpener. The product is in great shape when I received it in the mail that I was able to use and examine what benefits it can do for me. Good product. This would make sharpening pencils easier and faster as it only apply to a one push and the sharp razor will automatically sharpen the pencil. 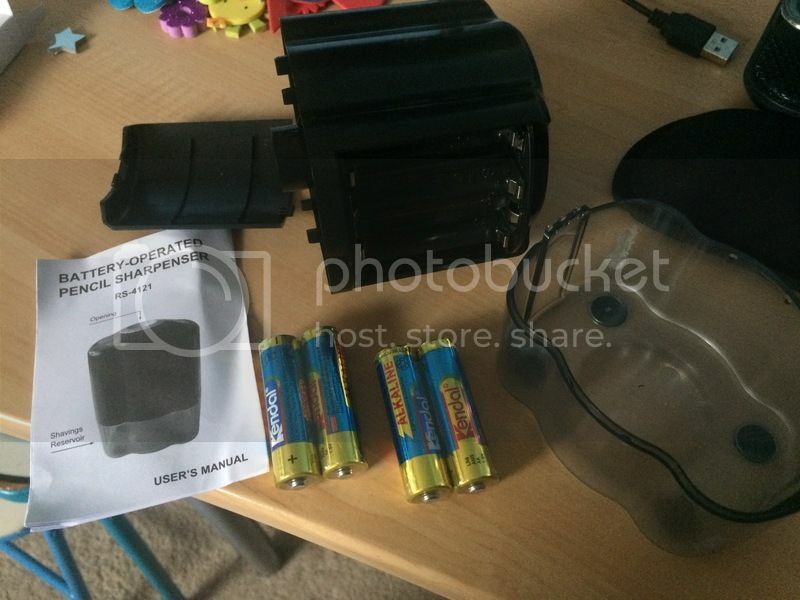 I like how the product came with 4 AA batteries, in which I can used it right away. I hope that the battery it will last longer, as to it needs at least 4 AA batteries is a lot to consume. The color clear helps dirt be more visible so I could clean the reservoir and black is also vivid, that I find dirt won’t be visible. It is easy to open and to dump the shaving. I also like the stopper on the bottom of the electric sharpener, as it helps the sharpener in one place and steady while using. I find this very useful and easy yet durable especially when you need to sharpen more than just one pencil. I had fun using this as the automatic makes it easier to sharpen pencil faster. Don’t forget about the noise, yes! You will hear that shaving sound every time. I remember getting our first electric sharpener at home and the kids were pretty excited. It's definitely convenient and it makes sharpening cleaner and more efficient! This product would have been useful to us when my son was in Grade 2 as he used pencils for writing then. Now, he's already using ballpens to write in school. I'd still recommend this, though, to parents with smaller kids who are primarily using pencils in school.